Make a foraging toy for your bird that requires them to break through a piece of paper to get to the food! Cut two matching square pieces of plywood to the desired size for the box. Drill holes along the edges of one square that are a good size for your bird to forage through. Set the two squares of wood together, then drill small holes through them. Attach wood boards around the top edges of the solid square to make a box. Cut a piece of paper to be the same size as squares, put some treats inside the box, lay the paper over top, then attach the square with foraging holes on top of the box with screws and bolts through the small holes. 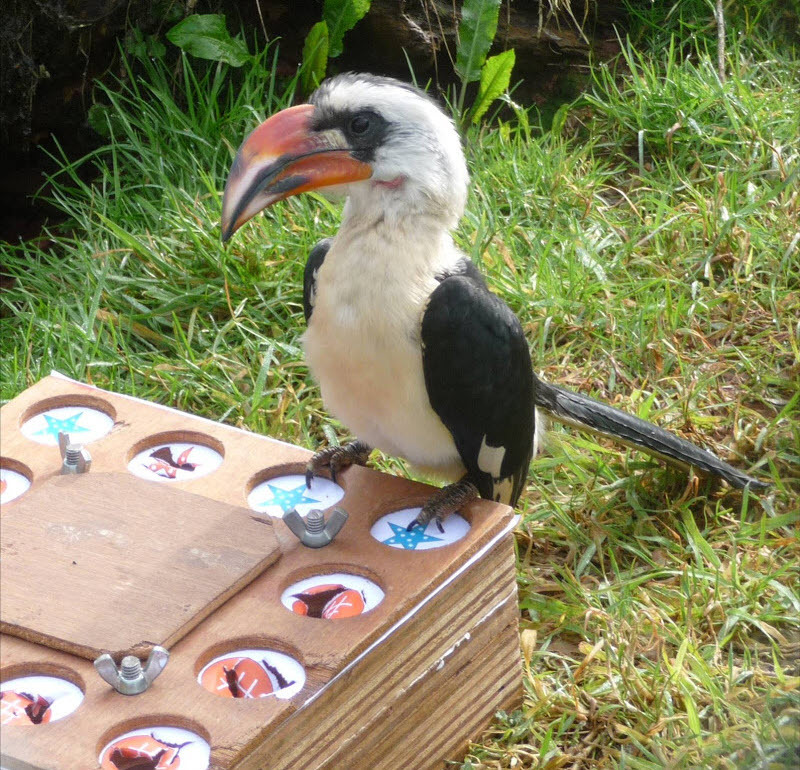 Decorate the feeding holes with stamps, or design a printout on the computer to fit the box for easy replacement of the paper with designs on the foraging hole areas.